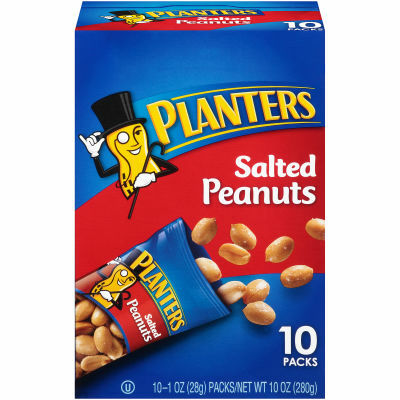 Planters Salted Peanuts follow the original Planters recipe everyone knows and loves, with only three simple ingredients: peanuts, peanut oil and sea salt. Enjoy the traditional taste and crunch of a handful of salted peanuts, straight out of this convenient 1 oz. bag. Free of cholesterol and trans fat, these USA-sourced peanuts are the perfect snack.